Not your conventional canopy. 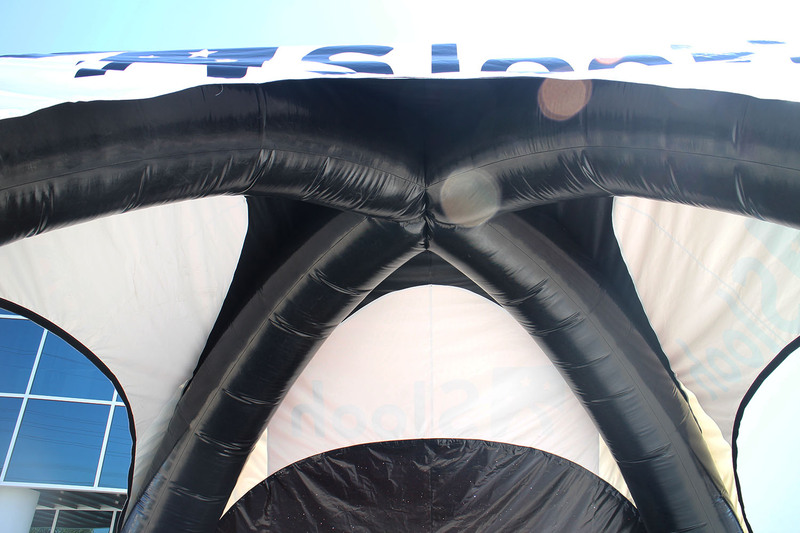 Give your inflatable tent a unique touch. 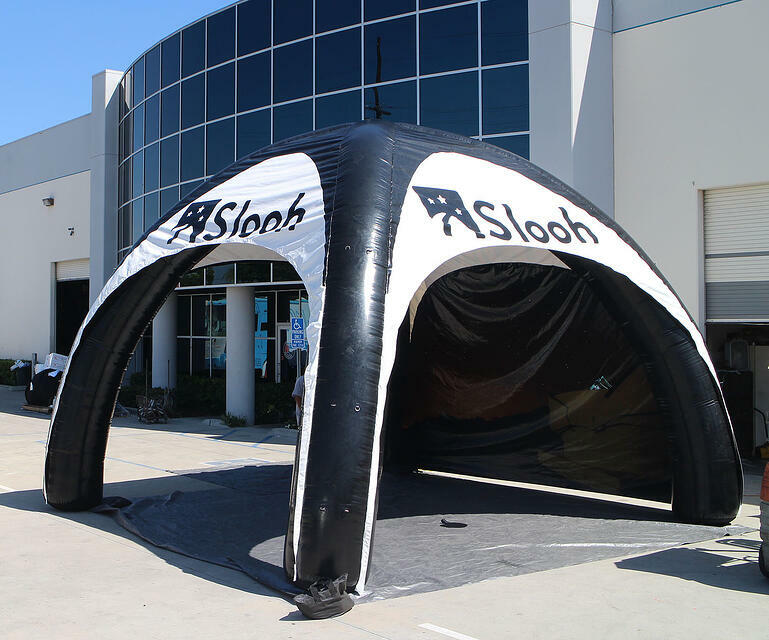 This inflatable arched tent is not your ordinary tent, it's a custom inflatable attention grabbing shade maker. Okay, not our best analogy, but it's pretty accurate. 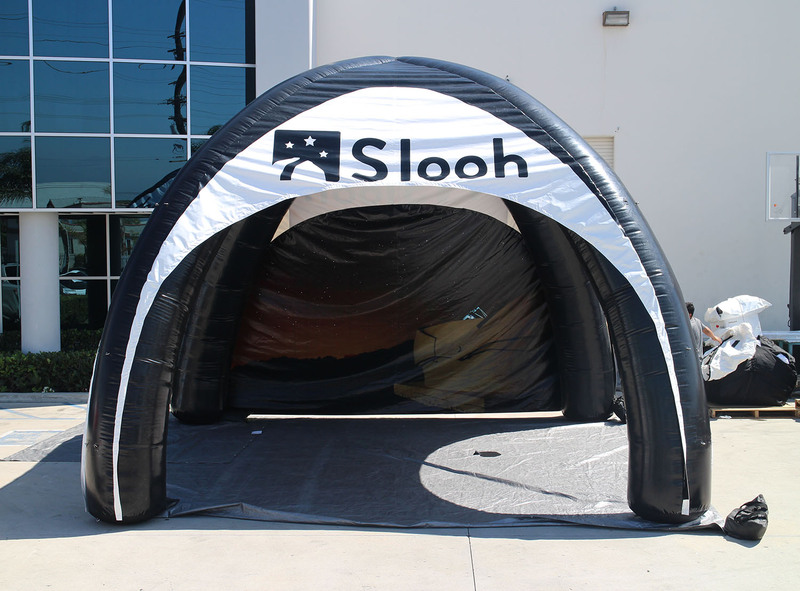 This custom tent is sure to get you attention while at the same time providing ample shade to potential customers. You can also get digital printing that can transform your tent from great to awesome. The tent is easy to set up as well, so no need to stress. Having custom artwork on your custom tent will make it stand out even more. Go crazy with the design if you want. Not artistic? It's okay! The Promotional Design Group design team can help! We can assist you in designing the tent of your dreams. Our talented group of designers can come up with some really cool designs that will really pop. Just send us your logos and we'll do the rest. Want to take this tent with you on the road? No problem. The compact design of this inflatable tent makes it easy to stash in your back seat or trunk. This inflatable tent weighs no more than 50 lbs. and it folds down to a relatively compact size, so it's fairly easy to carry around. Set up is super easy too. Simply pull out of the bag, unroll, lay out, plug in blower, and guide it up as it inflates. Finish the set up with the provided ropes. Use sand bags or weights for extra security and stability.